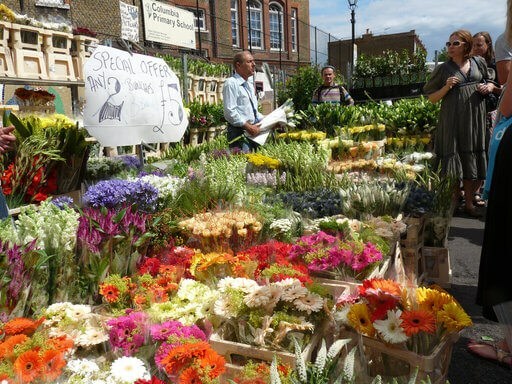 From food markets to flower markets, vintage fashion to wholesale – London’s markets are buzzing. The great news is many of the best are right on the doorstep of our Fenchurch Street terminus station making it very easy to hop off the train and explore. Back in the 1960s Spitalfields enjoyed a heyday as a fruits and veg market. 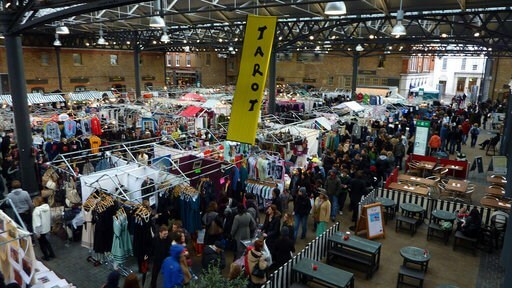 These days it’s enjoying a revival as one of London’s trendiest crafts, fashion and food markets. Perfect for browsing, you might find a vintage-style hat, cutting-edge jewellery, kitchen bric-a-brac, African textiles or a dusty old tome depending on who’s selling that day. 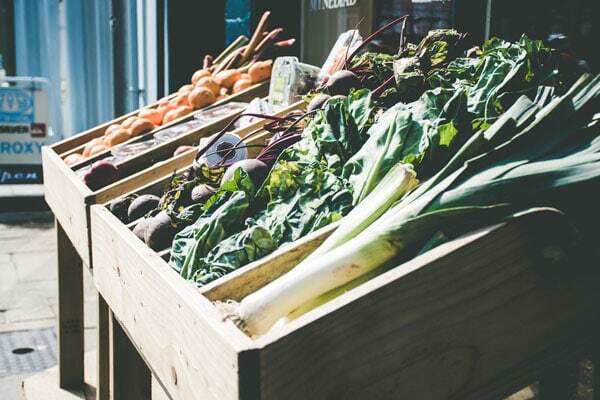 Head on over to Hackney’s hip Broadway Market to experience an eclectic mix of goods from local farmers, artists and craftspeople. Roam the stalls to hunt out delicious ingredients, home-cooked snacks and unique and unusual clothes. It’s also a great place to pick up unique gifts for your friends. 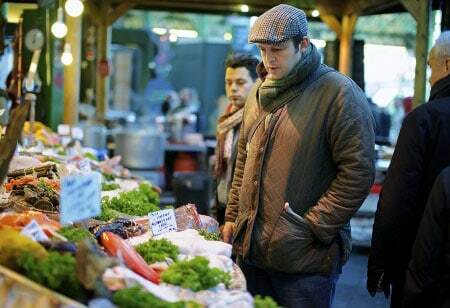 A scenic stroll across the river from Liverpool Street station, Borough Market is one of the most famous gourmet food markets in Britain. From exceptional cuts of meat and fish through to organic vegetables, pies, pastries, preserves and all manner of novelties, you will not be left hungry here. During the week it’s just another east London street, albeit filled with sixty independent shops, galleries and cafes, but between 8am – 3pm on a Sunday, come rain or come shine, every plant known to humankind seems to make its way to Columbia Road, waiting for a new home. You’ll have to be an early bird to experience the best of this one, as it opens at 4am. Tuesday-Saturdays. 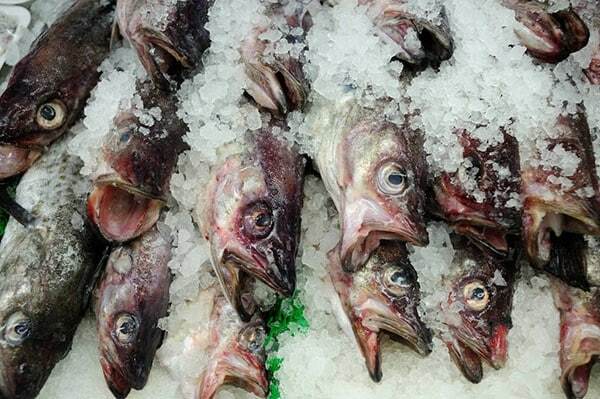 This is the place to come to watch traders at work and witness gigantic whole fish, sardine-tight boxes of littl’uns, tubs of eels and more ice than Alaska. Even if you’re not buying the bustle and banter of Billingsgate is legendary. 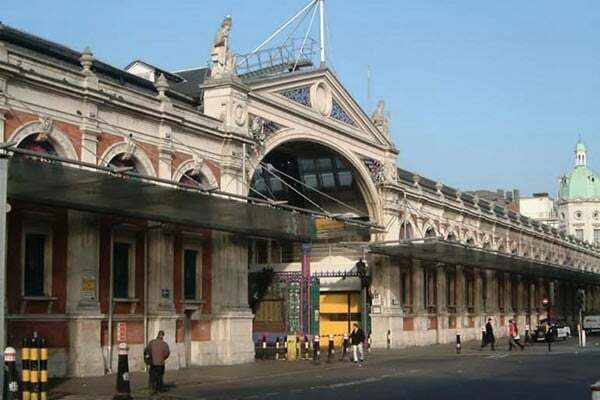 If you think Billingsgate opens early, spare a thought for the porters plying their trade under the magnificent Victorian wrought ironwork of Smithfield Meat Market. They start their day at 3am, Monday to Friday. Luckily if you’re visiting the best time to get there is about 7am to see the full range of meaty wares. 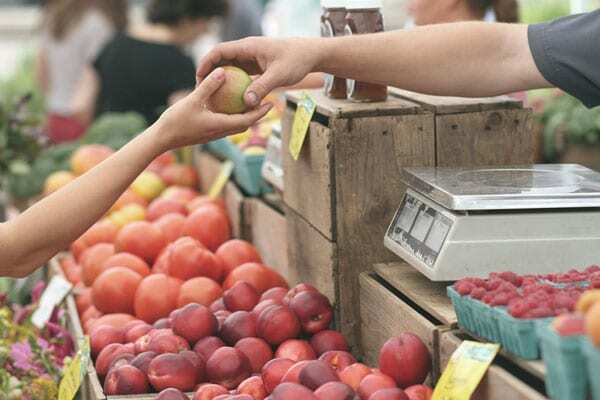 Don’t be afraid to haggle if necessary. Once the home of junk, tat and more junk, the Sunday market has now added arty T-shirts, vintage clothing, fashion-college chic, kitsch collectibles, CDs and records, retro homewares and pretty much anything else you can imagine. Wander into nearby Dray Walk too and take a look at the funky new shops that seem to pop up and then disappear on an almost daily basis. 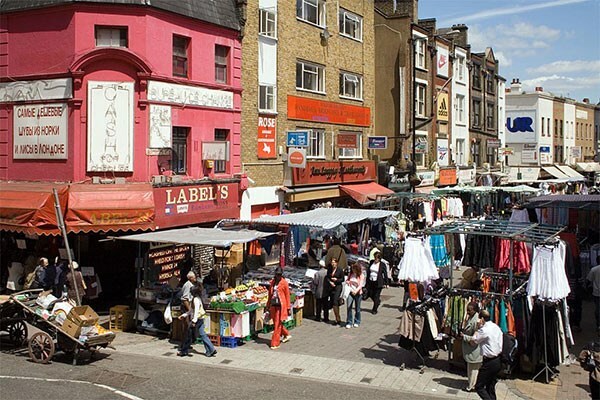 Oddly, 300-year old Leather Lane Market has nothing to do with the leather trade – the name comes from a local merchant centuries ago called Le Vrunelane. 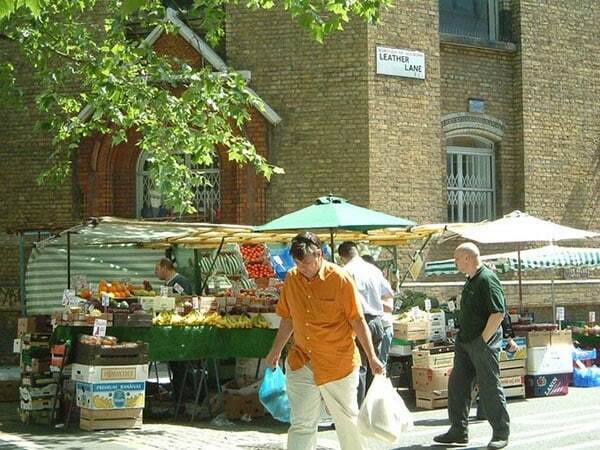 Running between Chancery Lane and Clerkenwell Road between 10am and 2pm Monday to Friday, this weekday market wields a wide array of produce from fruit and veg to well, leather goods. 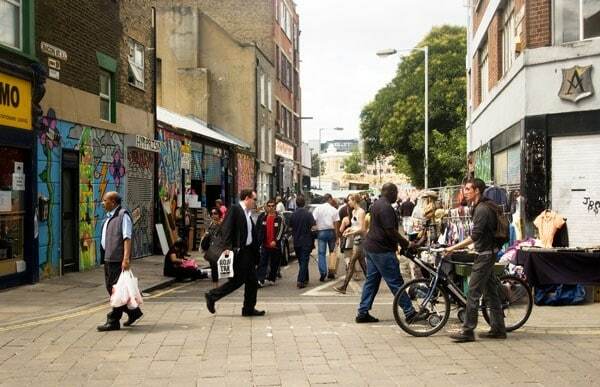 Since Clerkenwell became one of the trendiest places in London Exmouth Market has gone upmarket. The semi-pedestrianised street used to be a traditional general street market but with the coming of gourmet shops, cafes and restaurants you’ll find designer jewellery and gifts rubbing shoulders with good old-fashioned stalls selling plastic buckets and mobile phone accessories. Make sure to nab the best savings with a GroupSave offer valid on all off-peak tickets (weekends and weekdays), or book ahead online in advance and save on off-peak weekday ticket too. Bargain!